Though our interest has waned a tad considering that none of our teams actually made the cut, there is as always plenty of anticipation for the marketing bonanza–er, sorry, NFL football championship–that is the Super Bowl. We expect more industry insight as we head towards the Big Game on Feb. 3, and some post-game thoughts afterwards. So, let’s begin with this ditty from Tony Winders, SVP of marketing at L.A. based in-image ad platform, GumGum. Here, Winders advises marketers on digital plans that extend beyond the TV blitz. 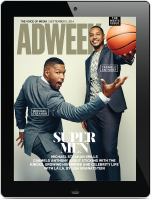 As big brands prepare to spend big money to advertise on CBS during Super Bowl XLVII – reportedly $3.5 million for a 30-second spot – smart advertisers are finding more resourceful ways to reach the Super Bowl’s audience online. While it’s hard to match the impact of television or the captive audience of consumers as hungry for the ads as they are for the game, use of contextual and audience targeting in the days and weeks surrounding the Super Bowl can extend the reach of a television buy and give advertisers who can’t otherwise afford it a way to associate their brands with the biggest television sporting event of the year. Big media events, whether the Super Bowl, Oscars, America’s Cup or season-ending episodes of popular TV shows, are cultural touchstones that permeate our thoughts and conversations far beyond the confines of any television media schedule. By thinking of events as a way to engage an audience over an extended period of time, advertisers open a window of opportunity that extends beyond what television can accomplish at game time. Super Bowl fans will spend the weeks preceding and a few days following the game–researching teams, viewing photos of players and reading about everything from the halftime show to the ads and food that have come to symbolize our national pastime. In the week leading up to last year’s game, traffic to Super Bowl-related photos across my company’s in-image advertising platform increased an average of 150 percent per day, with nearly three million football-oriented in-image impressions served the day after the game. Shifting the event’s time horizon from a few hours to days or weeks allows marketers to leverage digital channels for both reach and frequency, creating more time to communicate with consumers when they aren’t so directly focused on the game itself. The longer window also allows time for marketers to launch synchronized creative to tell a story over several weeks, or to test and optimize creative leading up to the game itself. During this expanded event window, advertisers have a plethora of contextually relevant options from which to launch their Super Bowl offensive. A paid-search campaign on Google targeting basic Super Bowl-related keywords, like “Super Bowl” and “NFL” will generate more than five million searches per day, according to its AdWords keyword tool. Not to mention thelong tail of searches related to the teams, cities, players and coaches’ names, snack recipes and the halftime show. According to inventory available in its “Interests Targeting (.pdf)” tool, Facebook allows access to more than 19 million men over the age of 21 in the U.S. who have indicated they like football. As consumers increasingly experience events via photos on platforms like Instagram and Twitter, in-image advertising makes it possible to overlay contextually targeted rich-media and video ads on photos about sports, football and Super Bowl-related keywords. We estimate that it will have access to 10 million image-based ad impressions per day leading up to the game on its platform alone. Thoughtful use of demographic and audience targeting data can also deliver likely Super Bowl viewers at scale across video and display platforms. At its most basic level, identifying male sports enthusiasts can act as a proxy for Super Bowl viewers, with CPMs increasing and scale decreasing as additional layers of targeting granularity are added. If an existing television spot, or any video content created with humor and irreverence, can be incorporated in the mix, these channels can funnel users to an experience worthy of social media banter and Monday morning water cooler chatter to rival spots aired during the game. When used collectively in the days leading up to the Super Bowl (or any major TV event), an integrated digital plan can easily combine to reach highly coveted audiences in the tens of millions, which on a per-impression basis, is sure to be a more cost-effective way to associate your brand with the Big Game.